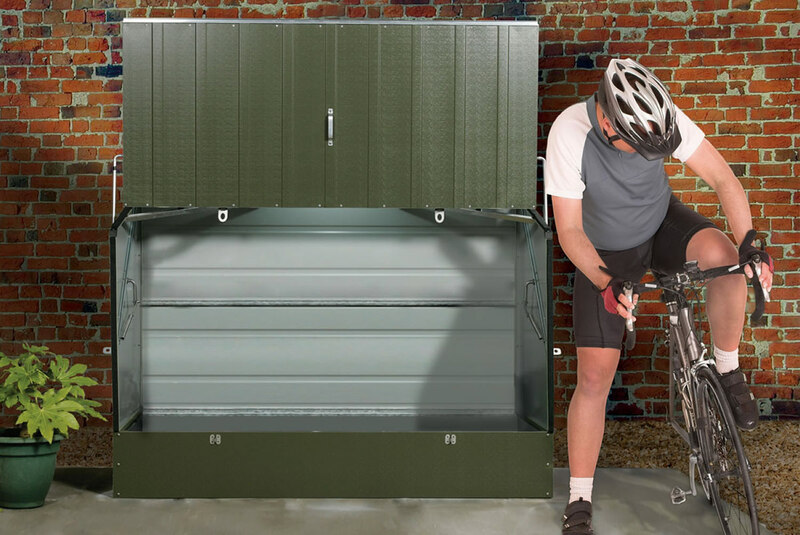 The Protect a Cycle bicycle storage system is unique in terms of security and strength. 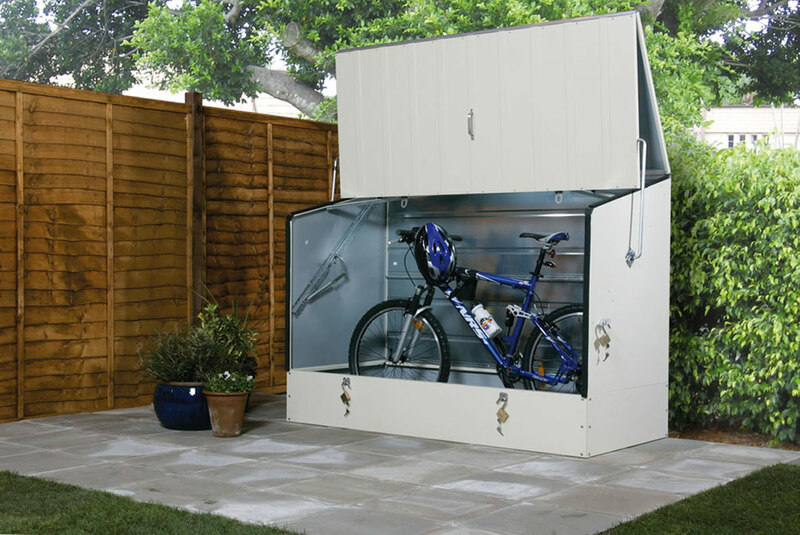 Due to its ample height and width it can accommodate all types of mountain or racing bikes and depending on bicycle design can usually hold up to three bikes. 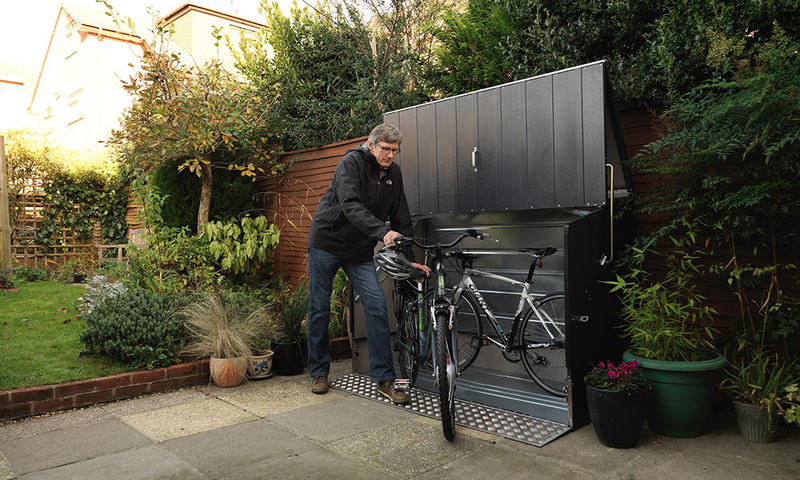 1) Does Protect a Cycle have to be located on a hard base area? Yes, the product is designed to be bolted down (fixings supplied) onto a flat and level concrete base with a recommended thickness of 100mm (4″). 2) Where can I view your products? 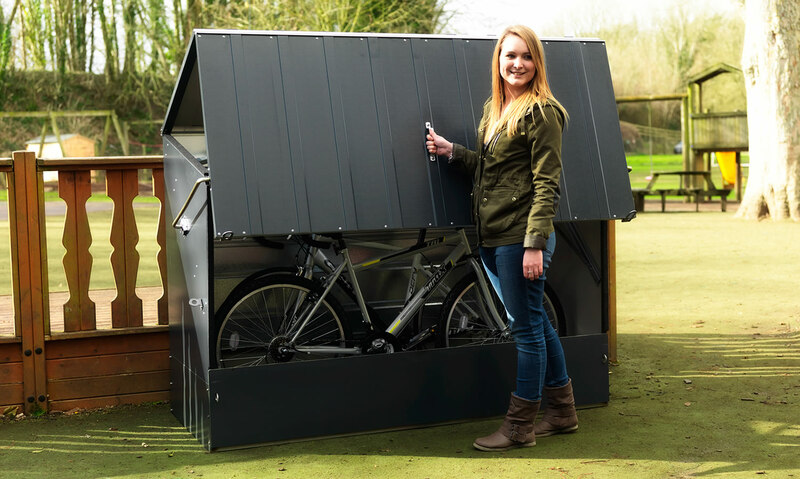 This product is on display at our factory show site in Blandford, Dorset and also at selected GBC showsites in the UK – click here for details. 3) How soon can I expect delivery after placing my order? Current delivery times are two to three weeks from order. 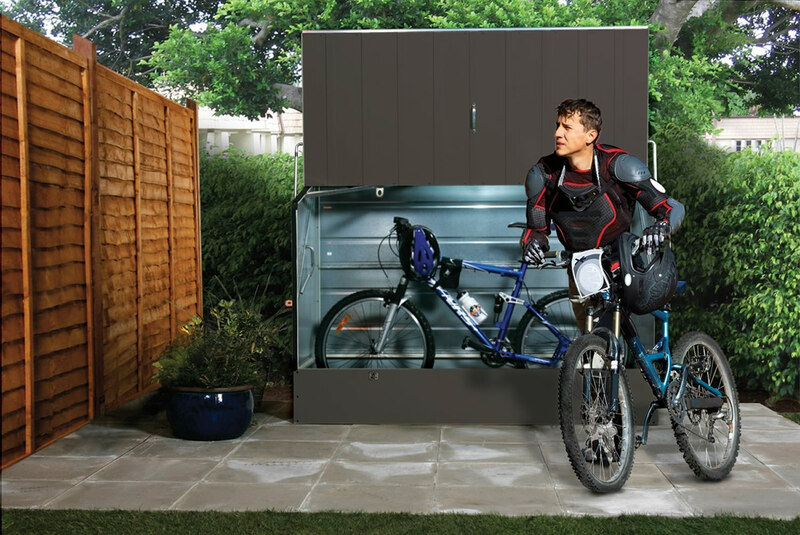 4) Is the Protect a Cycle delivered fully assembled or flat packed? The product is delivered in convenient flat packs. For ease of movement the unit is delivered in five boxes. 5) Do you offer an assembly service? No, but the product has been specially designed for easy self assembly. 6) How many bikes can you fit in your bike store? Usually three adult bikes but this depends on the style / design of the bikes. 7) How do you secure the Protect a Cycle Pro to a hard surface? The product is bolted down (from the inside) using the fixings supplied. 8) Can you make custom sizes to order? Not usually but if a large quantity is required (25+) then we can talk about your exact requirements. 9) How long will the special deal on the website be available? The special deal is constantly reviewed – however if you order at a special deal rate then that will be the price you pay even if the offer is withdrawn before delivery. 10) How can I contact you or place an order? Directly on our secure website or by phone (01258 459441), fax (01258 480408) or via post (cheques made payable to Trimetals Ltd). 11) What payment method do you accept? Most credit and debit cards, Paypal and cheques. 12) Does someone have to sign for the delivery? Yes, the product must be signed for – you will be contacted by us and asked for a convenient delivery date to suit you. 13) How many people are required to assemble the Protect a Cycle? We recommend that two people assemble the product. 14) Do I need any special tools to construct the product? No, just a pozi drive (Philips style) and flat blade screwdrivers also an 8mm and 10mm spanner. 15) Who are Trimetals Ltd? Trimetals Ltd have been established for 50 years and are generally regarded as Europes leading manufacturer of quality metal buildings. 16) Do you manufacture anything else? 17) Can you send me a brochure of your products? Yes, just contact us with your name and address and we will post to you our current brochure.